Welcoming and comfortable, our cottages are well equipped and maintained with care. Most of our cottages host four to eight people, and some can accommodate groups of up to 14 people. 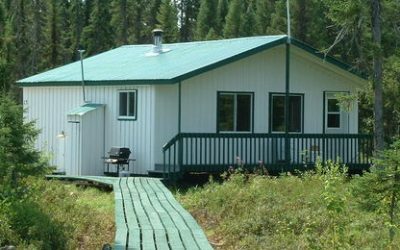 Every cottage offers the following amenities: running water, lighting, wood stove, gas grill, bathroom with shower, kitchen, refrigerator, stove, dishes and utensils. 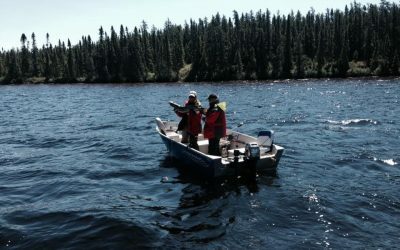 Navigate the blue waters of the Domaine Poutrincourt outfitter on board one of our fishing boats. 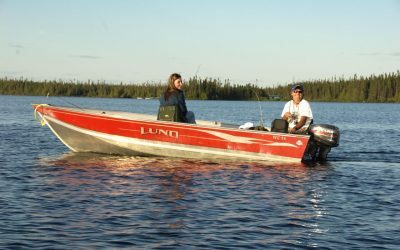 You may choose between a 15-feet fiberglass or aluminum boat (for 2 people), and an 18-feet glass fiber row boat (for 3 people or odd groups). 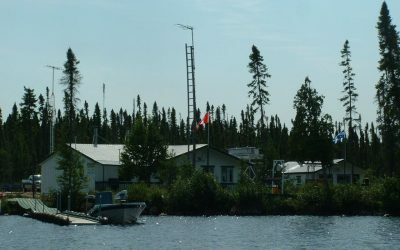 Safe and well maintained, our boats are powered by Mercury 10 HP outboard engines. They also include anchors, oars and floating cushions. 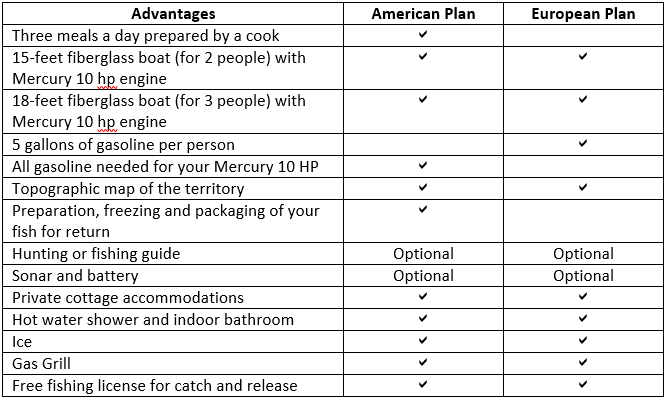 Depending on your needs and your budget, you may choose between the American Plan or the European Plan.